Retirement photo chocolate bars are the perfect way to personally announce your big goodbye from work. 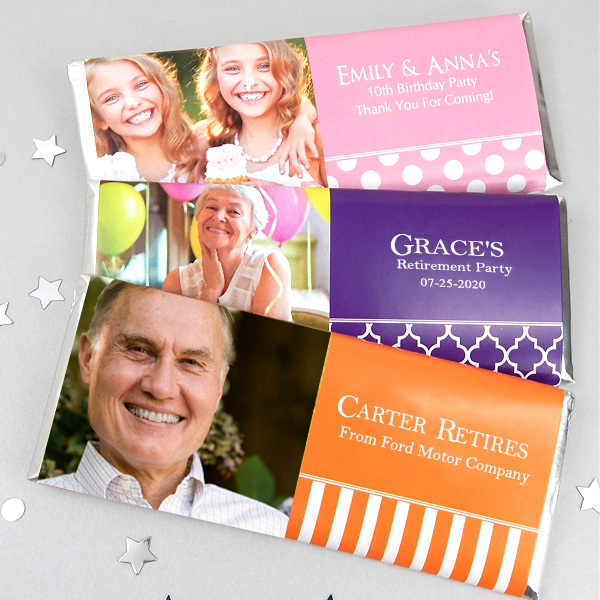 As you step into a brand new, exciting and relaxed chapter in your life, let the personalized photo chocolate wrappers tell everyone that you are ready to break free. 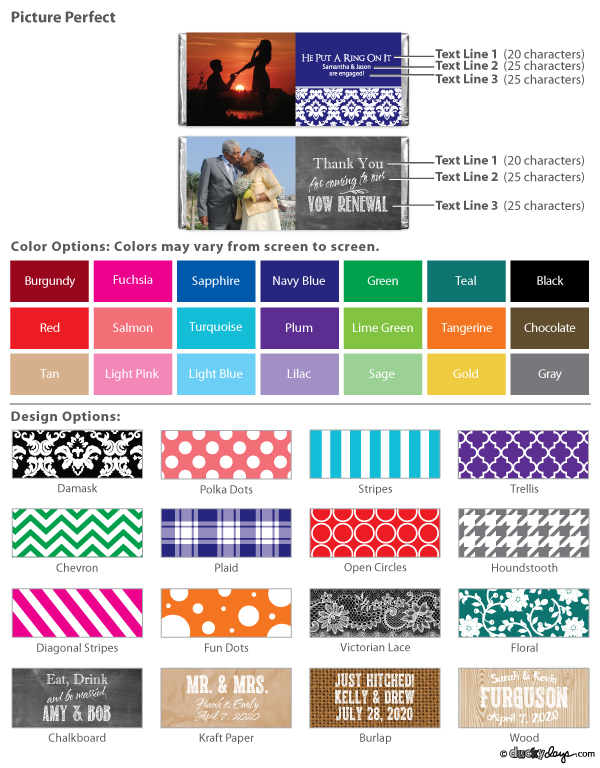 Choose the perfect portrait to decorate the cover, a short text and a complimenting color and design to complete it. Distribute it among your friends, family and colleagues on the day you wind up work, or add it to the dessert table at your retirement party. Everyone is bound to spend a minute remembering the memories of your career life, as they indulge in it.